Clevosaurus hudsoni and corkscrew-like in Clevosaurus cambrica. 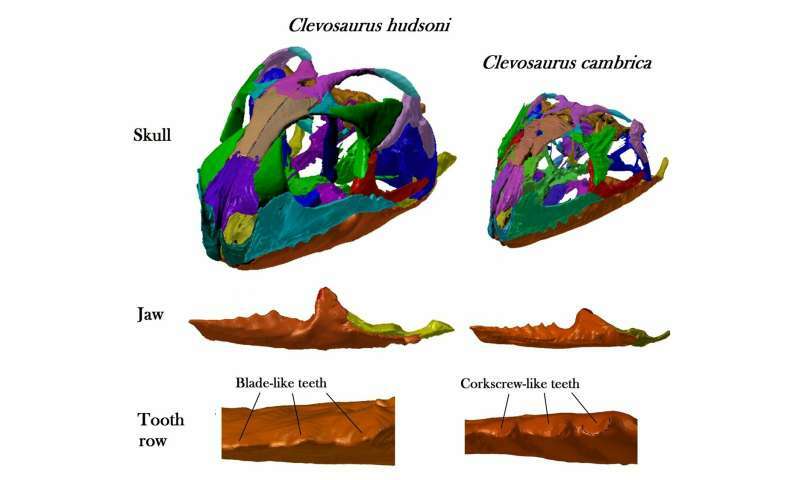 Credit: Image from the CT scan data, produced by Sophie Chambi-Trowell. 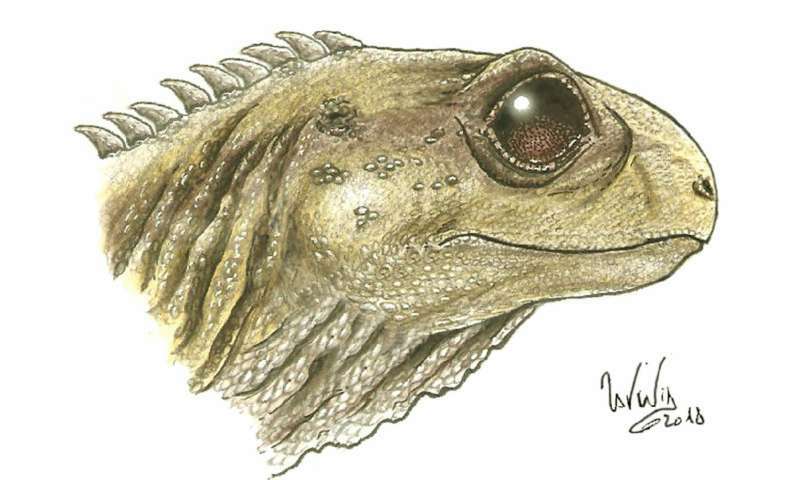 Life image of Clevosaurus. Credit: Sophie Chambi-Trowell. Her other supervisor, Dr. David Whiteside, said: "Two hundred million years ago, Bristol lay much further south than it does today—about the same latitude as Morocco.